FINEST SCOTCH WHISKY. 2WHISKY GLASSES. FOR MORE GLASSES. A COUPLE OF LIGHT SURFACE SCRATCHES. 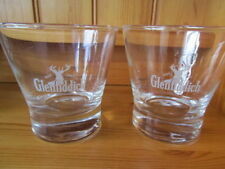 2 X GRANTS FINEST SCOTCH WHISKY TRIANGULAR TUMBLERS / GLASSES - GOOD CONDITION. WILLIAM GRANT'S FINEST SCOTCH WHISKY TRIANGULAR GLASS. 1.5cm SOLID BOTTOM. 9cm TALL/7.5cm ACROSS TOP. WHISKY GLASS. ROCKS - TUMBLER. APPROX 9 CMS TALL. WILLIAM GRANT'S. 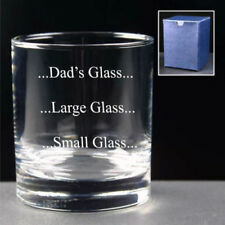 THIS SET OF 4 TRIANGULAR TUMBLERS/GLASSES ARE IN GOOD USED CONDITION ,JUST RIGHT FOR THAT FAVOURITE NIP OF WHISKY. THIS TYPE OF GLASS IS THE MUCH SORT AFTER TRIANGULAR DESIGN . PROMPT DISPATCH. Grant's is a blended Scotch whisky bottled by William Grant & Sons in Scotland. In 1963, William's great grandson, Charles Gordon oversaw construction of the Girvan grain distillery - now the world's second largest grain whisky producer. PAIR OF GRANT'S BLENDED SCOTCH WHISKY. TRIANGULAR GLASSES. NEW AND UNUSED. IN AN EXCELLENT, CLEAN, BRIGHT CONDITION. FINEST SCOTCH WHISKY. 1WHISKY GLASS. A COUPLE OF LIGHT SURFACE SCRATCHES. Finest Scottish Whiskey. Triangular shaped Glass. FOUR GRANTS WHISKY THREE SIDED GLASSES, 9 CMS HIGH. Condition is Used. Dispatched with Royal Mail 2nd Class. NO CHIPS OR CRACKS ,CLEAN. This is a lovely rare whisky advertising drinking glass for Grant's Finest Scotch Whisky. Ideal as a gift, Christmas etc, or for collector. 2 x GRANTS WHISKEY GLASSES. WILLIAM GRANTS SCOTCH WHISKY - COLLECTORS GLASS TUMBLER . Condition is Used, so has some marks on through being washed but no cracks or chips Dispatched with Royal Mail 2nd Class. This lot is for 2 x new Grant's Royal Scotch Whisky Aged 12 Years glasses with ribbed indented bases. A lovely small Grant's whisky tumbler with white print. In excellent preloved condition. Approx size 3 1/4" tall x 2 1/2" dia. William Grants Finest Scotch Whiskey. Triangular tumbler. Collectors item. Gold etching on front. In about 2012 William Grant & Sons produced a collectable series of six heavy based whisky glasses with reproductions of the labels that had appeared on various of their scotch whisky bottles 1903 to 2011. Grant’s is the oldest family-owned blended whisky and is currently sold in over 180 countries. The glass, in the classic Grant’s triangular shape, is approx. 8cms across the top, approx. 7cms across the base & approx. GRANT’S WHISKEY GLASS Finest Scotch Whisky Glass 9cm in height Never been used IF YOU HAVE ANY QUESTIONS,PLEASE EMAIL. SCOTCH WHISKY. WILLIAM GRANT'S. WHITE LETTERING. WEIGHT OF ITEM 272G. William Grants Scotch Whisky Glass. White transfer. 5 x WILLIAM GRANT'S SCOTCH WHISKY TRIANGULAR GLASS GOLD LETTERING HEIGHT 3½"
5 x WILLIAM GRANT'S SCOTCH WHISKY TRIANGULAR GLASS GOLD LETTERING HEIGHT 3½" . Condition is Used, so may have some marks on through being washed but no cracks or chips Dispatched with Royal Mail 2nd Class. 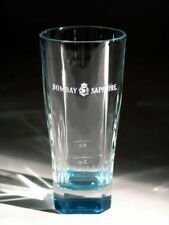 BNIB GRANTS HEAVY BASE TRIANGULAR FAMILY RESERVE WHISKY GLASS TUMBLER GIFT. Condition is New. Dispatched with Royal Mail 2nd Class. New listing4 off GRANT’S Scotch Whisky triangular heavy base whisky glasses. Made by William Grant's Finest Scotch Whisky. A Set of 4 Whisky Glasses. Triangular shape fit well in the hand. These glasses hold 22cl. The decal is in white and would make a great glass to drink whisky from. Grant's is a blended Scotch whisky bottled by William Grant & Sons in Scotland. In 1963, William's great grandson, Charles Gordon oversaw construction of the Girvan grain distillery - now the world's second largest grain whisky producer. 1 Bell's / 1 Jack Daniel's & 1 Grouse. Whiskey Tumblers / Glasses. Cleared Cheque. Cash On Collection Preferred. 2 Grants whisky tall triangular base round top heavy base glasses as shown. These have grants embossed in the base. They are approx 15cm tall and the triangular base is approx 5cm across as is the top. Grants whisky glass very heavy lovely ! A lovely Grants whiskey glass very heavy and in excellent condition. Nice set of four whisky glasses. in perfect condition. date to the 1980s. SIX VARIOUS BRANDS WHISKEY GLASSES, GRANT'S,POWER'S,J&B,GLENFOYLE,ETC. Condition is Used. Dispatched with Royal Mail 2nd Class. NO CHIPS OR CRACKS, CLEAN. 9 CMS HIGH. ALSO LONG JOHN,CLYDE SPRAY WHISKEY GLASSES . Box Of Six Grant's Whisky Glasses. Although I've listed these as used, they have never been used, but have been in original box for some time. Condition is Used, but like new. Happy Bidding Dispatched with Royal Mail 2nd Class. Whiskey Tumblers / Glasses. Triangular / 3-Sided. William Grant's. Cleared Cheque. Cash On Collection Preferred. Grant's whisky glass individually boxed in presentation gift box. 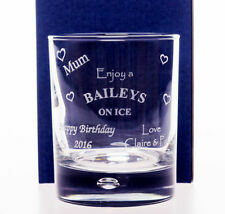 Glasses can be Engraved (engraving is not included).